What are the names of the Fates? What did the Fates do? Which characters did Shakespeare base on the Fates? In ancient Greek and Roman mythology, the Fates are three goddesses who measured out the thread of life of every mortal from birth to death. 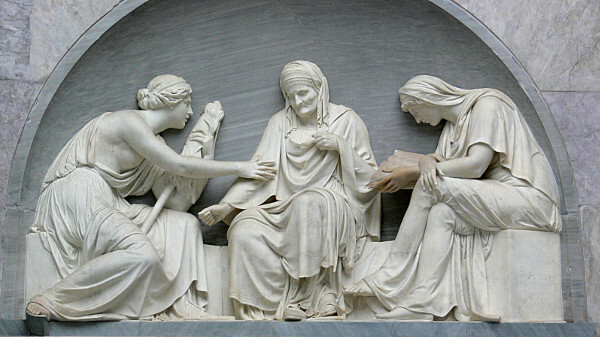 In Greece, they were known as Moirai (Μοῖραι) – apportioners. In Rome, they were known as Parcae – the Latin meaning is not clear and three possibilities are given: merciful, life givers, or weavers. Their task was to spin a thread of life for each mortal creature. Into that thread they would spin all the good and all the evil that was apportioned to that person. The thread was cut at the time of death. It was Klothos (Κλωθώ) who spun the thread, Lachesis (Λάχεσις) who measured it out, and Atropos (Ἄτροπος) who cut it. In Latin, their names were Nona1 , Decima2 , and Morta3 . In Plato’s Republic, they are said to sing together. Lachesis sings of the past, Klothos sings of the present, and Atropos sings of the future. They are described as wearing white robes with a small thin crown or garland on their heads. Sometimes they are described as ugly old crones, possibly even deformed. Other times, Klothos is described as the young maiden and Atropos as an old woman, with Lachesis somewhere in between. 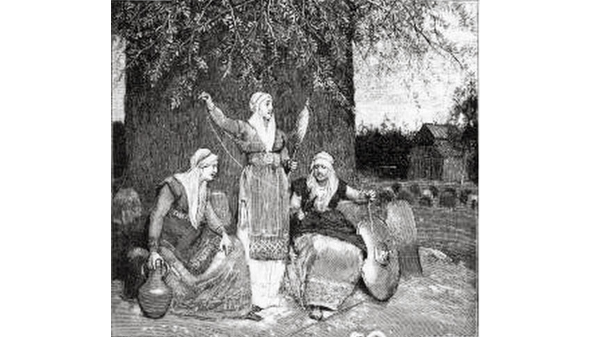 The Norns in Norse mythology parallel the Fates. They are three women who spin the thread of life of people. 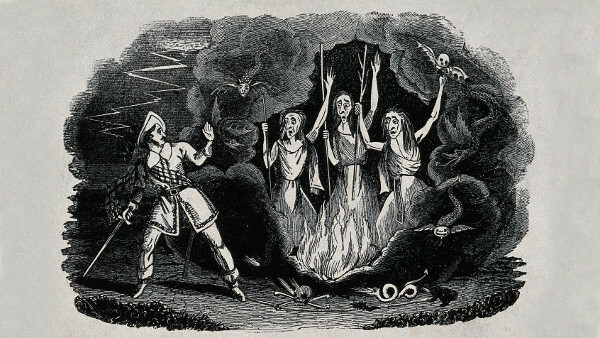 The three witches in Shakespeare’s Macbeth are probably based on the three Fates. The Fates sang of the past, present, and future. 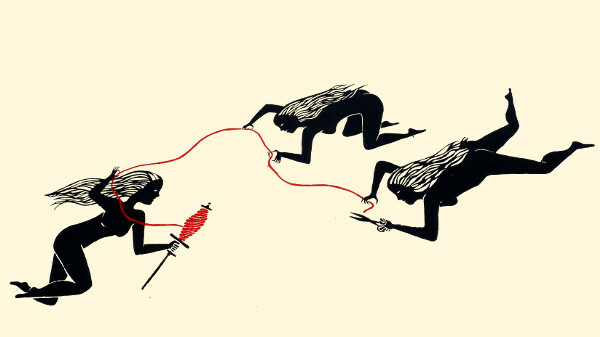 The Norns in Norse Mythology parallel the Greek Fates.